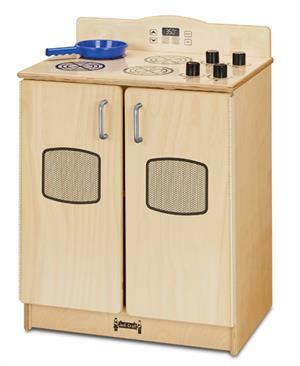 Encourage kids to whip up a delicious meal on this realistic kitchen stove. 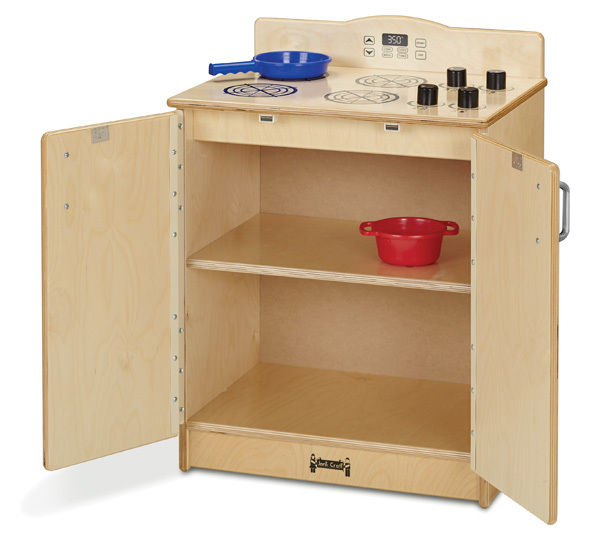 Features one interior shelf for baking meals and cookies while magnetic catches help keep doors closed. Provides realistic play with wooden turn-button controls, four stove “burners”, and a “digital” display. Chrome-looking handles provide a high-end aesthetic. 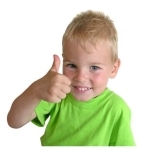 Counter is 23.5” high. 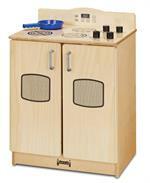 Jonti-Craft is the leading provider of Play Kitchen Stove - 2409JC for the early learning market.